Rajah Sulayman III was the last King of Manila, along with Rajah Matanda (Sulayman II) and Lakan Banaw Dula of Tondo (Luzon region), he was one of three Rajahs who fought the Spanish empire during the colonization of the Philippines in the 16th century. Spanish documents say his people called him “Rajah Mura” or “Rajah Muda” (a Sanskrit title for a Prince). The Spanish transcription of “Rajah Mura” is Young Rajah, a reference to the fact that he was Rajah Sulayman II’s nephew and heir to the throne. The Spaniards called him “Rajah Solimano el Mow”. On 1570, Miguel Lopez de Legazpi, searching for a suitable place to establish his capital after being compelled to move from Cebu to Panay by Portuguese pirates and hearing of the existence of a prosperous Kingdom in Luzon, he sent an expedition under Martin de Goiti and Juan de Salcedo to explore its location and potentials. Legazpi, then sets his sights on colonizing the Luzon region on 1571. When Miguel Lopez de Legazpi died in 1572, his successor, Governor-General Guido de Lavezaris, did not honor the agreements with Rajah Sulayman III and Lakan Banaw Dula. He sequestered the properties of the two chieftains and tolerated Spanish atrocities. 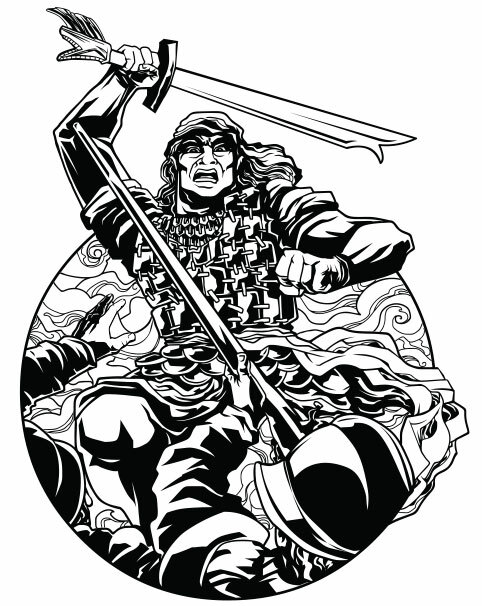 In response, Rajah Sulayman III and Lakan Banaw Dula organized and led a revolt in the villages of Navotas in 1574, taking advantage of the confusion brought about by the attacks of notorious Chinese pirate, Limahong who attempted to overthrow the Spanish Empire but failed. This is often referred to as the “Manila Revolt of 1574” but is sometimes referred to as the “Sulayman Revolt” and the “Lakan Banaw Dula Revolt.” Since it involved naval forces, the Sulayman Revolt is also known as the “First Battle of Manila Bay”. The revolt did not succeed and the Spanish empire continued with their colonization of the Luzon region. Friar Geronimo Marian and Juan de Salcedo were tasked with pursuing conciliatory talks with various tribes. Lakan Banaw Dula and Rajah Sulaiman III agreed on Salcedo’s peace treaty and an alliance were formed between the two groups. The exact date of his death is unknown, although Philippine historians set it at 1575 based on genealogical records. Rajah Sulaiman III of Manila is clearly recorded as participating in the battle in 1574.